The Oscars – both maligned and praised are always cause for celebration and we’re here to do just that. 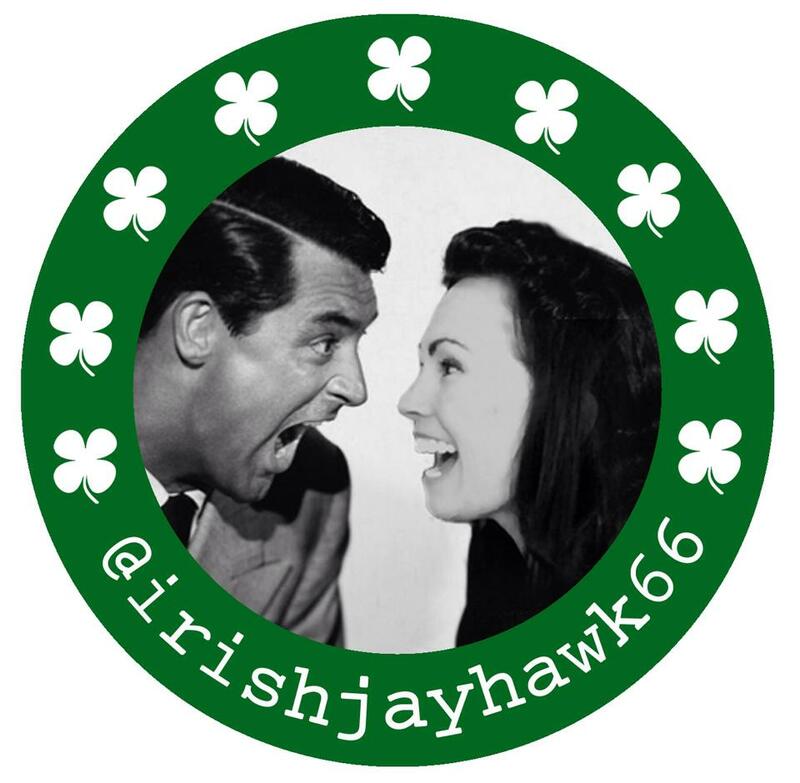 For the fourth consecutive year, Outspoken & Freckled (@Irishjayhawk66) joins forces with Aurora, (@CitizenScreen) of Once Upon a Screen and Paula (@Paula_Guthat) of Paula’s Cinema Club for the 31 Days of Oscar Blogathon. We started this event to coincide with Turner Classic Movie’s 31 Days of Oscar marathon during which the network shines the spotlight on the storied history of the Academy Awards. This year the network is presenting Oscar-themed movies with a twist on the “Six degrees of Kevin Bacon” parlor game where each film will be linked by a common performer to the one following it with the last film presented on the 31st day linked back to the first. No doubt the “360 Degrees of Oscar” will be a fun journey through film connections in Oscar’s storied history. You can download the TCM February schedule here. And while you’re planning your viewing schedule plan your entry to the blogathon! Most of you know the drill – during the month-long event tell us about which films, actors or directors deserved an Oscar nod and were ignored or about which films inspire you with their music or lighting. Any Oscar-related topic is fair game. We are not limiting this event to classic film fare, we want to see and hear it all from the golden man’s glitter- and scandal-filled history – including information and commentaries on this year’s nominees. The only restriction is we prefer no previously published posts. February 6 – Hosted by Aurora on Once Upon a Screen – THE ACTORS! February 13 – Hosted by Kellee at Outspoken & Freckled – OSCAR SNUBS! February 27 – Hosted by Kellee THE MOTION PICTURES and Aurora THE DIRECTORS! SO – write to your heart’s desire! Write one post or several on each topic. But write! Here’s to Oscar, to TCM and to YOU! If you’re interested take a look at all of the previous years’ entries to the 31 Days of Oscar Blogathon: 2015, 2014, 2013. 1 / 9 / 2016 ~ WHAT?!!! It’s that time of the year again, and the three hostesses with the mostesses are back with their “31 Days of Oscar Blogathon.” CineMaven’s Essays from the Couch ( https://cinemavensessaysfromthecouch.wordpress.com/ ) here, and I’d like to write about the Oscar snub for what should have been the Best Picture of 1957 “Sweet Smell of Success.” I want to hit it on all cylinders for Best Actor ( shoulda been Burt Lancaster ) Best Supporting Actor ( shoulda been Tony Curtis ) Best Supporting Actress ( shoulda been Barbara Nichols or my sweetie pie Lurene Tuttle who played the hell out of her five-minute part down to her fingertips! ) and Best Director ( shoulda been Alexander MacKendrick…not to mention Best Cinematography ( shoulda been the Master: James Wong Howe. ) So let me at ’em Kellee. Let me at ’em!! You got it, girl! Cannot WAIT to read your entries- WOO HOO!!! If possible, I’d definitely love to discuss why Irene Dunne was the queen of freaking everything, and Oscar should have his head permanently hung in shame for never acknowledging that fact. 😉 I’m sure I’ll have others, but I needed to claim that, now! cinemadilettante.wordpress.com, KathrynGraysonFn@aol.com, & @oldmovieweirdo on the twitterator. Sounds wonderful! I’ll update your entry into our spreadsheet and post this weekend. Looking forward to your take on the Oscar snub of the outrageously talented & charming Irene. Hi Kellee, I’d love to take part in this at http;//crackedrearviewer.wordpress.com My contribution would be for that Oscar-winning quintessential 70’s cop flick, THE FRENCH CONNECTION! Sounds awesome, Gary- you got it! Woo-hoo! So glad you’re doing this again for 2016! Looking forward to it. I’d like to do a post on the directors, with Frank Borzage and 7th Heaven (winner of 1st Best Director Award). Always look forward to your posts- this one sounds marvelous! Love this idea! Can I please do Mike Nichols’s “The Graduate,” under The Films – my blog is popculturepundit.wordpress.com. Sounds terrific! One of my favorites- both the film and the director. Do you have a twitter handle? Please provide that too so we can promote ya! Yes, @PopCultPundit — thank you! Looking forward to this one! SNUBS it is! I’d like to do a piece on Jean Arthur as an Oscar snub, probably focusing mostly on THE MORE THE MERRIER. Sound OK? Sounds perfect, Kim! She’s one of my faves! I’m so excited about this! I couldn’t believe it when I heard this morning that Stanley Tucci was overlooked For Spotlight, so I’d like to post about him under snubs. I’ll be back with my link when I get it written. Thanks so much for doing this again this year. Ooooh- he’s so terrific! I haven’t seen SPOTLIGHT yet so I may need to make sure I see it before reading your post. So happy to have you on board! Here’s the link to my Stanley Tucci post (and don’t worry, no spoilers!). Looking forward to reading all the pieces soon! Hi Rob~ I’m culling all of the posts for our final week, of which you have several contributions. I haven’t read them all yet but just a quick reminder that each post must include one of our 31 Days Of Oscar banners (which I didn’t see on the TITANIC one, not sure on the others yet) and all the posts must be new or very recent material (I noticed the term ‘encore review’ on a couple of your posts, so I’m just confirming). Otherwise, we’re looking good and I should post the week 4 list post tomorrow morning. Thanks so much, Rob!